Stirrup bending machine is a device that uses steel bars for automatic bending. It is relatively simple to operate. It is also convenient to carry large-sized stirrups. 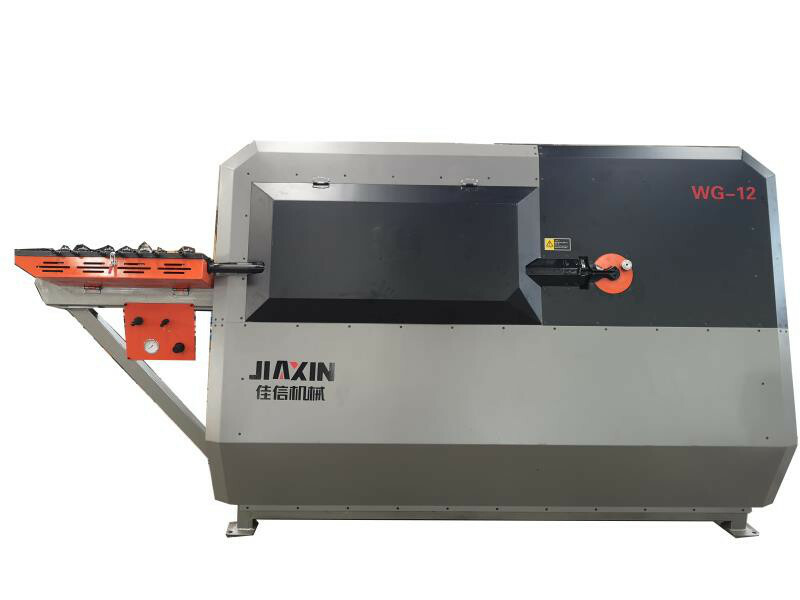 The bending machine can be quickly formed and the processing efficiency is relatively high. Let’s take a look at the CNC reinforced bending center. What is the production process? 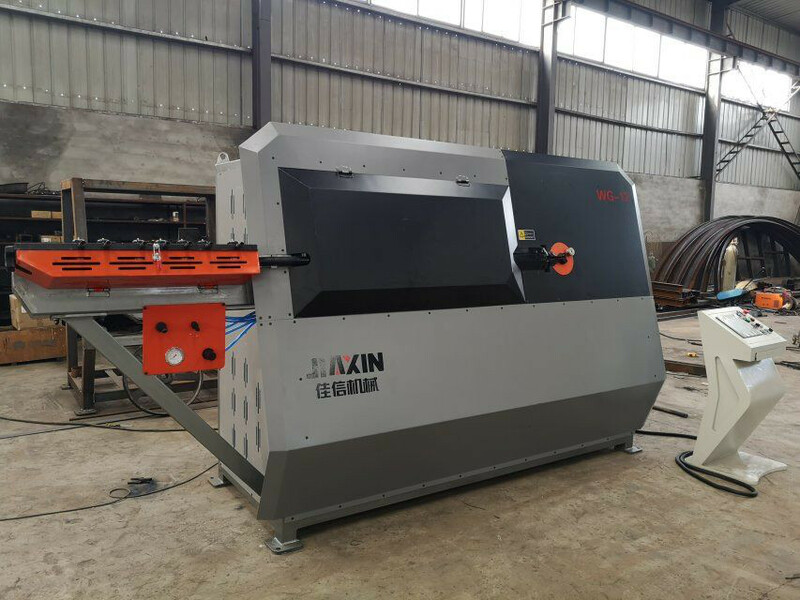 When machining the CNC steel bending machine, first place the main rib on the main reinforcement, and then place the reinforcement of the rib on the hoop reinforcement frame. When the rib is fixed, the disc is fixed accordingly. The preliminary welding of the bending center of the numerical control steel bar can be carried out. 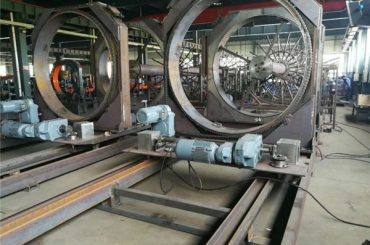 The stirrups and the main ribs are cross-welded and fixed, and the stirrups are continuously wound two times in parallel, and then the normal welding operation can be performed, and the two disks are simultaneously rotated, so that the steel bars are continuous in the main reinforcement Wrap and weld, then terminate the welding cut-off stirrup, and then perform two-turn winding, then weld, and then cut the rib. 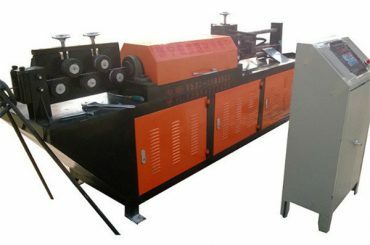 Stirrup bending machine has several holes on the working plate for inserting the bending pin shaft, and also can replace the center pin shaft of different diameters. What is the transmission process when the CNC numerical control steel bending machine works? Learn more about it. The bending speed of the steel bending machine is relatively stable. It can use the forward and reverse rotation of the motor to bend the steel bar in both directions. 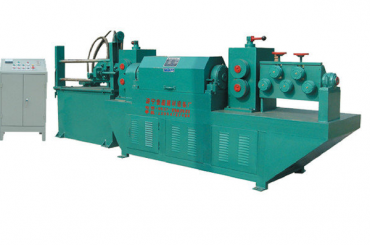 When the steel bending machine is driving, firstly, the motor should be turned on first. The motor rotates to drive the pulley to rotate. One side of the pulley should be installed. The shaft, in turn, drives one shaft to rotate, one gear on one shaft and two gears on the two shafts, which drive the two shafts to rotate, the two shafts drive the three gears, the three gears drive the four gears, the four gears drive the worm, and the worm drives the main shaft The main shaft is to drive the disc, and then it starts working. When processing steel bars, more stainless steel bending machine are used. The stainless steel bending machine can bend steel bars of various diameters. The bending speed of the bending machine is relatively fast. How much do you know about the operation details of the bending center of CNC steel bars? Take a look at it in detail. 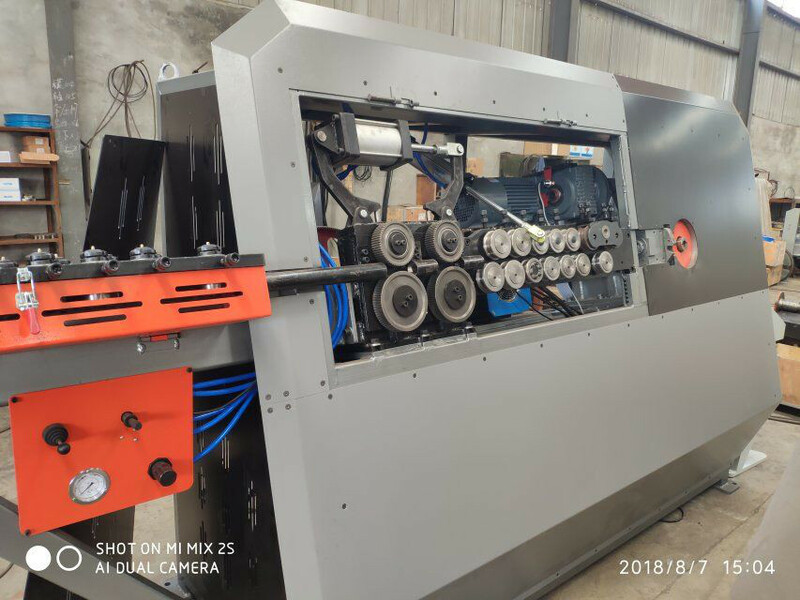 First, in order to be able to adapt to the diameter of the stainless steel bending machine, an eccentric sleeve can be added to the stainless steel bending machine, so that the gap between the mandrel, the steel bar and the forming shaft can be adjusted. 2. When bending the bending center of the stainless steel bending machine, the baffle on the steel bar should be tightly attached to the steel bar to ensure the regularity of the curved shape of the steel bar to ensure the production quality. 3. During the bending process of the bending center of the CNC steel bar, the bent accessories cannot be replaced. If it is necessary to stop the repair, the lubrication parts should be lubricated and maintained before and after the machining. Det stirrup bending machine This utility model includes a reducer, a large gear, a pinion, and a curved disk surface. The structure is characterized in that the two-stage brake motor and the reducer are directly connected for one-stage deceleration; the pinion and the large gear The meshing is used for two-stage deceleration; the large gear always drives the curved disk surface to rotate; the curved disk surface is provided with a central shaft hole and a plurality of curved shaft holes; and the positioning square bar of the working surface is respectively provided with a plurality of positioning shaft holes. 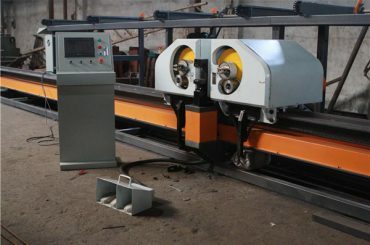 Since the two-stage brake motor and the reducer are directly connected for one-stage deceleration, the input and output revolution ratios are accurate, the bending speed is stable and accurate, and the electric automatic control can be used to change the speed, and the brake can ensure the bending angle. The steel bar is bi-directionally bent by the forward and reverse rotation of the motor. The center shaft is replaceable for easy maintenance. It consists of two sets of straightening wheels that can be automatically adjusted horizontally and vertically. Combined with four traction wheels, it is driven by the imported motor to ensure the straightening of the steel bar to achieve the best precision. One of the steel processing machines. Intelligent control can be used. 1. There are many types of machinable steel bars, ranging from 6m to 16mm in diameter, so the application range is wide. 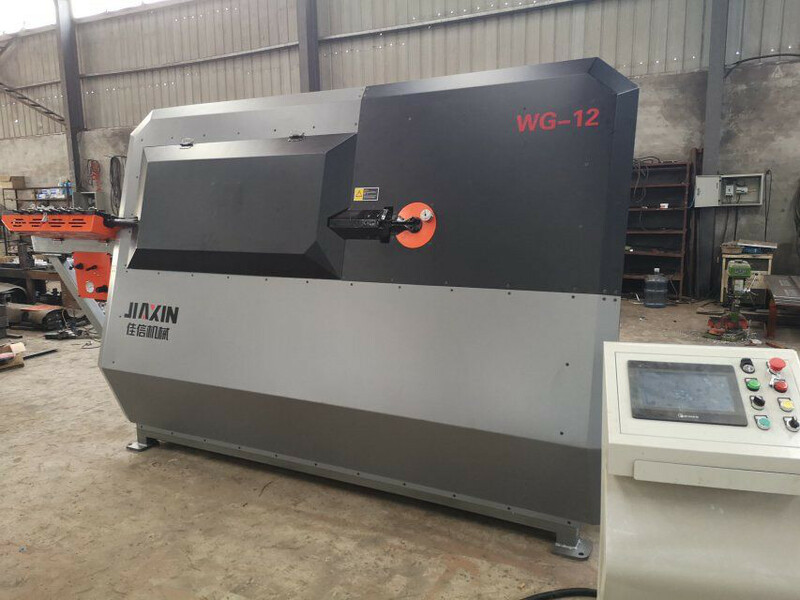 2, with high precision, the length tolerance of steel processing is controlled within +1 mm, and the error of machining angle does not exceed +ー1 degree. This processing accuracy greatly exceeds manual operation. 3. The scope of work is large. Before the steel bar is fed, whether it is placed regularly (such as a disc) or irregularly placed, it can be smoothly fed and straightened. 4, can process hot rolled and cold drawn steel, whether it is in the form of a disc. 5. Ensure effective utilization of steel bars. Because it is controlled by computer, how much is processed in the feed, so that the steel bars are used to the maximum extent. 6. 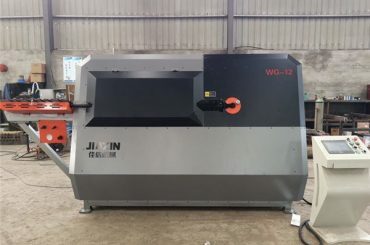 The feed part is controlled by the motor, and the steel bars of different diameters can be replaced within one minute, which greatly reduces the time required to replace the steel bars. 8, in addition to the above advantages, it also has a notable feature, that is, the cost is lower, compared with similar foreign products, the price is only a quarter of them, which is conducive to product promotion and sales. Copyright © Shandong Jiaxin Maskiner Udstyr Co, Ltd. Alle rettigheder forbeholdes.